Wally Bray has been coaching various levels of hockey for the past 20 years. He is well known in the Province of Newfoundland and Labrador, and throughout Atlantic Canada, having started coaching his two sons, and continuing on today to volunteer his time to both minor hockey and senior hockey within the St. John’s Region. He has been the technical director at St. John’s Minor Hockey Association for the past 20 years, coaching many teams there to both City and Provincial titles. 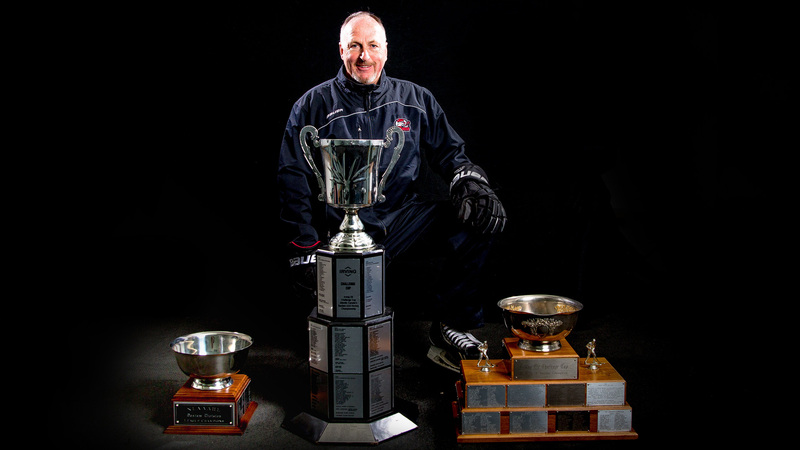 In 2006-2007 and 2015-2016, he coached the St. John’s AAA Bantam Hitmen to win both the Provincial Championships and the coveted Atlantic Irving Cup. In 2007 he coached the St. John’s AAA Bantam Ice Breakers to a Provincial Championship and a Silver medal at the Atlantic Irving cup. In 2008-2009 he joined the bench of the Major Midget Fog Devils and the following year he was named Head Coach of the team. He would go on that year, to win the Major Midget Provincial Championship, the Major Atlantic Championship, and to win a bronze medal at the TELUS Cup Nationals in Levi, Quebec. In 2010-2011 he became Head Coach of the Major Midget Pennecon Privateers, winning the Provincial Championship and a Silver medal at the Atlantics. For the past seven years, he has been the Head Coach for the St. John’s Senior Caps of the Avalon East Hockey League, winning 5 Provincial Championships. Voted on by his peers, he has been named “Coach of the Year” several times. He has also been involved as a coach in the HNL High Performance Program for both the U14 and U15 boys, bringing home medals at each Atlantic Challenge. In 2014 he was named Head Coach of the St. John’s Hitmen AAA Pee Wee team in the inaugural year of the NLAAAHL, leading the team to win the prestigious Bell Aliant Cup. For his hard work and dedication, he was named “Coach of the Year. His dedication to the players and love of the game can be witnessed at all levels.